Photography is something that grew on me as I s around the world. My trip to Antarctica was during my early travel days, so please try to view these ancient photos I took with an open mind 🙂 – until I return of course! 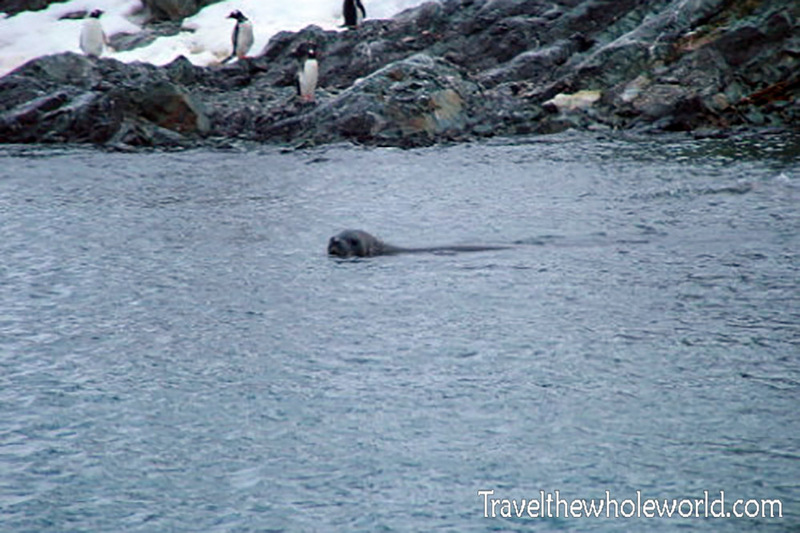 Antarctica is home to six species of seals, and I was able to see all of them except for the elusive Ross seal. The Ross seal seems to enjoy living on block ice which is impassible by ships, so those sguys do a good job of remaining out of sight. The other five species are fairly common. I think the easiest to find but maybe the least attractive are these lazy elephant seals. 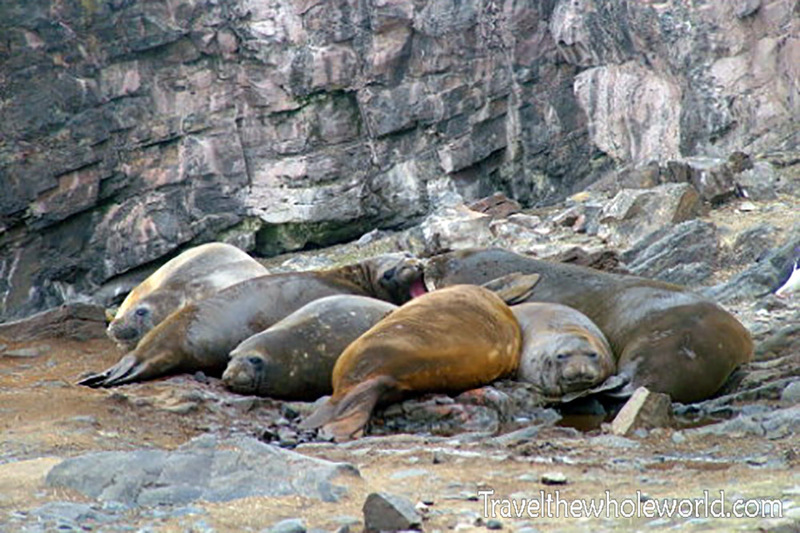 Without exaggerating, these seals let out loud burps every other minute while also blowing snot on each other. Fat and dirty as well, they’re basically giant pigs that live out of the sea. Despite all their blubber, elephant seals prefer the northern parts of Antarctica where it’s warmer. 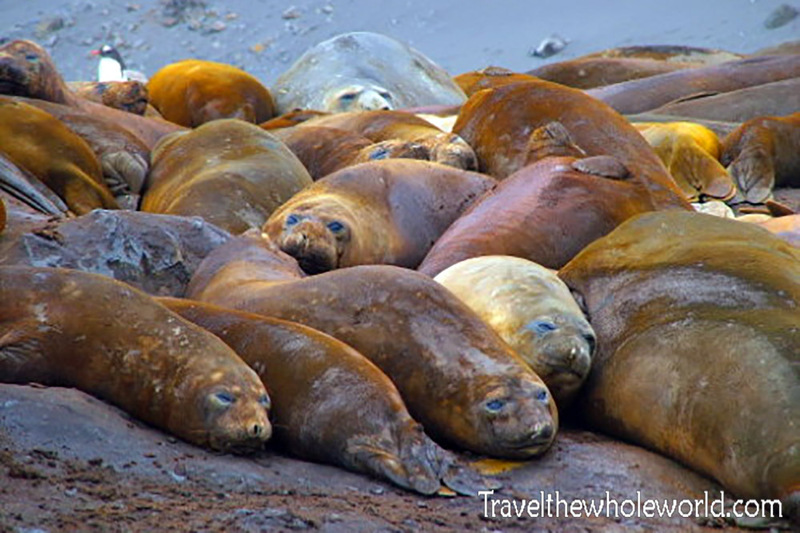 I came across these colonies in the South Shetland Islands, on the outskirts of Antarctica. The most common seal I came across where leopard seals photographed above and below. Both of these guys were laying out on smaller icebergs that were floating by, so I was able to get pretty close. 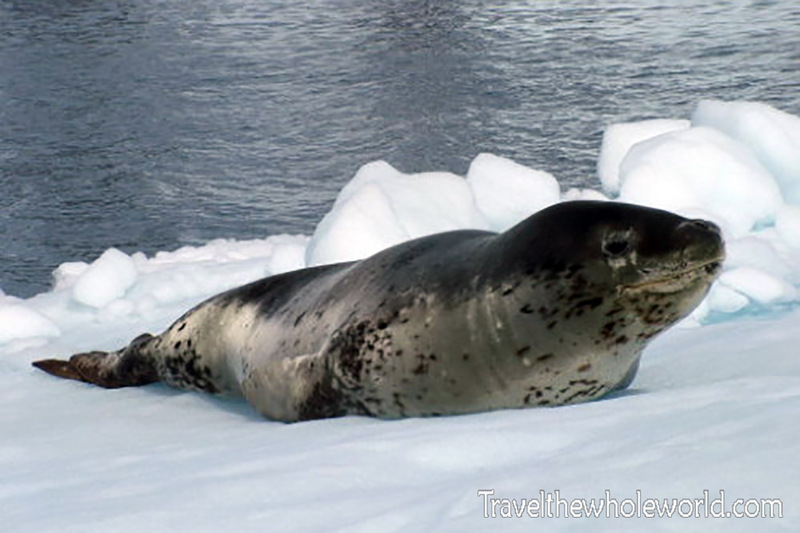 Leopard seals are the most recognized of the six Antarctica species. This is due to their numbers, but also because of their aggressive behavior. Along with killer whales, leopard seals are Antarctica’s number one predators and enjoy living at the top of the food chain. 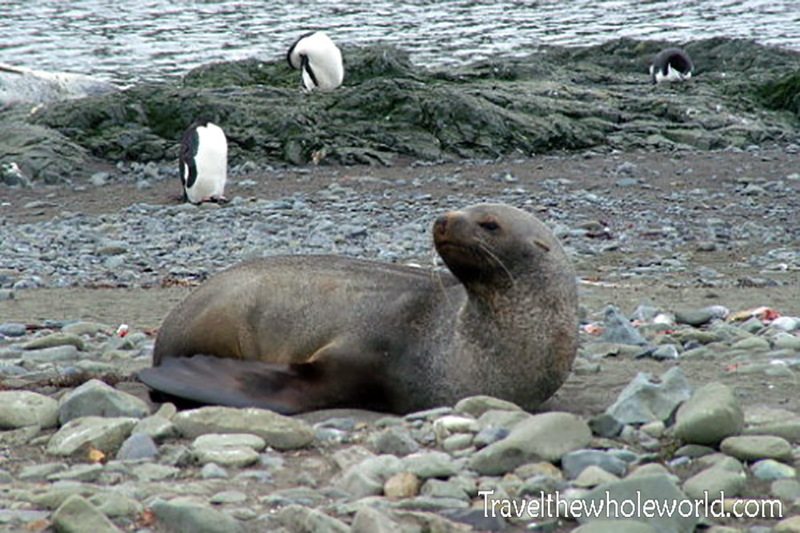 All the other seals in Antarctica hunt smaller animals like fish or krill, while leopard seals will actually kill warm blooded prey such as penguins and even other seals. There is only one recorded incident so far, but in 2003 a scientist entered the water and was attacked and killed by a leopard seal. 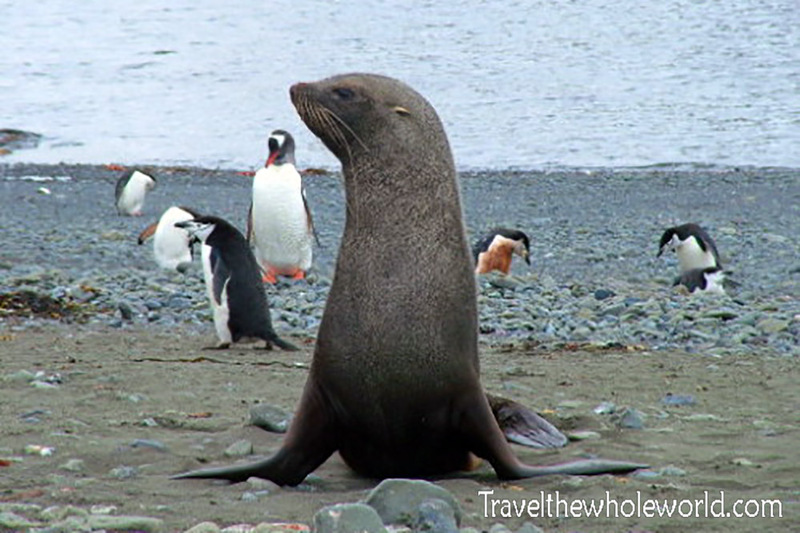 If lions are kings of the jungle then leopard seals are kings of Antarctica. 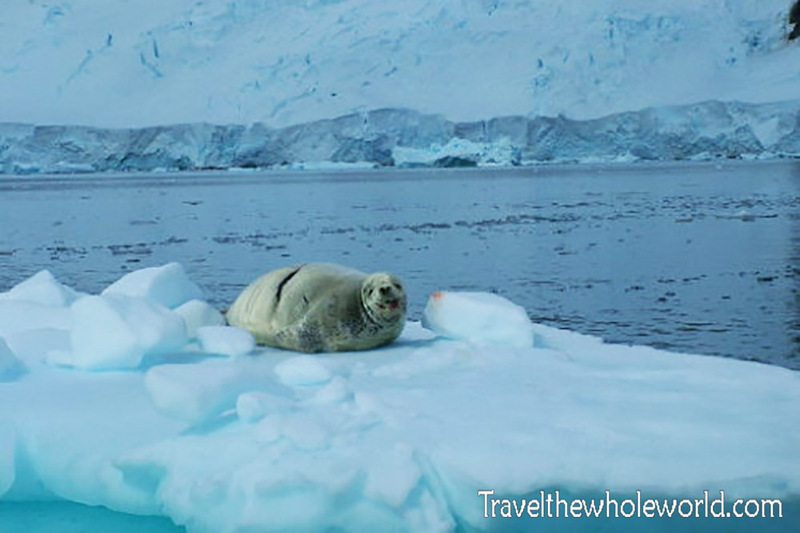 In comparison, this smiling Weddell seal above is a much gentler animal. While this guy is out enjoying some rays from the Antarctic sun, they are famous for how deep they can go underwater. 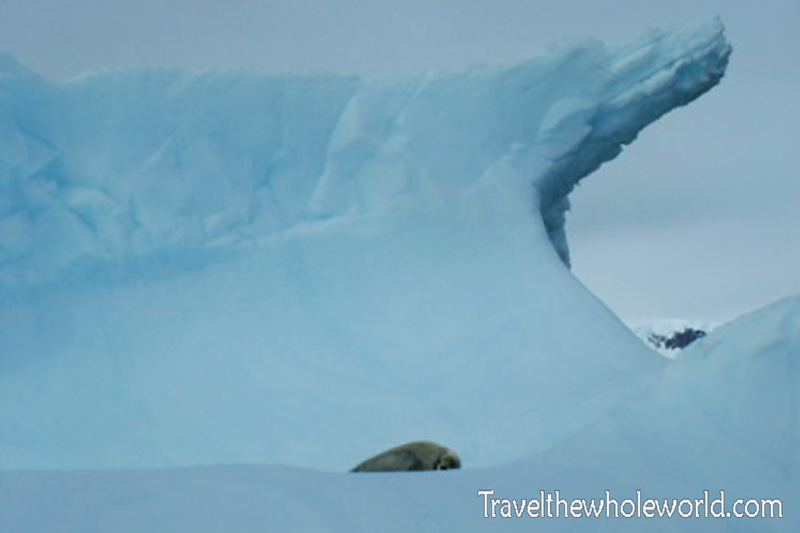 Weddell seals have made dives as far deep as 2,300 feet (700 meters); nearly half a mile underwater. To put things in perspective, advanced scuba divers only dive down to 120 feet (40 meters), which is less than 5% of a Weddell seal’s range! Sometimes seals that were mostly underwater like this one below are hard to identify, at least for an amateur like. I was told that it is probably a crabeater. My favorite of the seals were the fur seals. Instead of having lots of fat to fight the cold they have thick fur that keeps them warm, and also makes them easy to identify. 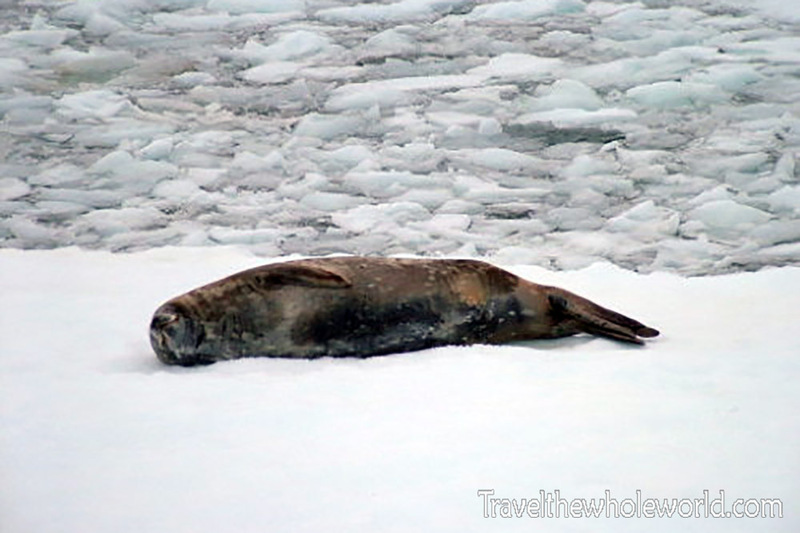 Most of the seals I saw in Antarctica were being lazy and lying around. The fur seals were much more energetic. This one above seemed nervous by my presence, and kept swinging his head side to side as if unsure of what to do. Luckily he chose not to attack. The fifth species I came across are crabeaters. You can recognize them because of their size, and for me, mostly from their whitish appearance. 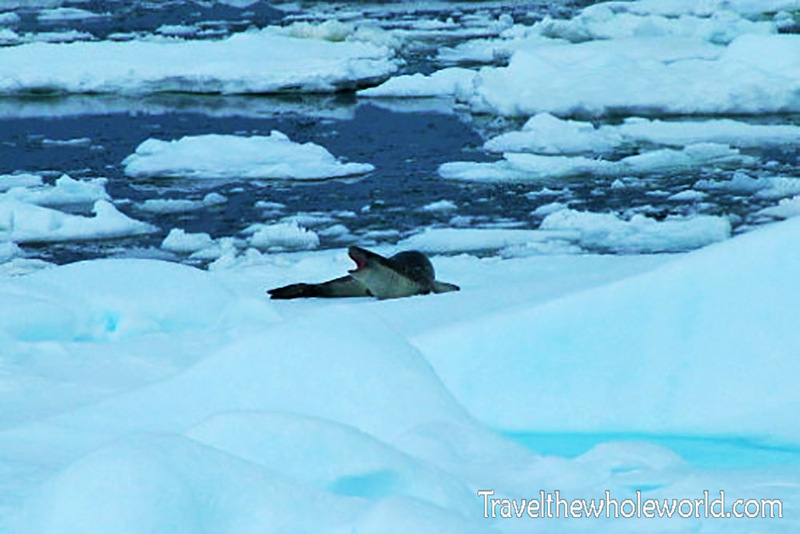 The crabeater seal above was moving back and forth trying to scratch his back like a dog before posing for the photo. I really wish I had a high end camera during this trip, I love that this crabeater below choose to take a nap right in front of some beautiful Antarctic scenery!